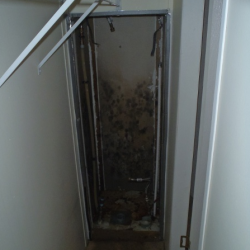 Mold is a major health concern and black mold is quite often found in bathrooms and wet basements, crawlspaces and attics. RTC Restoration employs a variety of techniques to detect and remove mold from both the interior and surfaces of walls, ceilings, carpets, crawlspaces, basements, attics and floors. 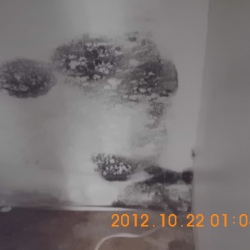 Mold removal is critical to avoid common health issues. RTC Restoration employs a variety of techniques and services to repair damage caused by mold and mold removal as well as providing preventative solutions. 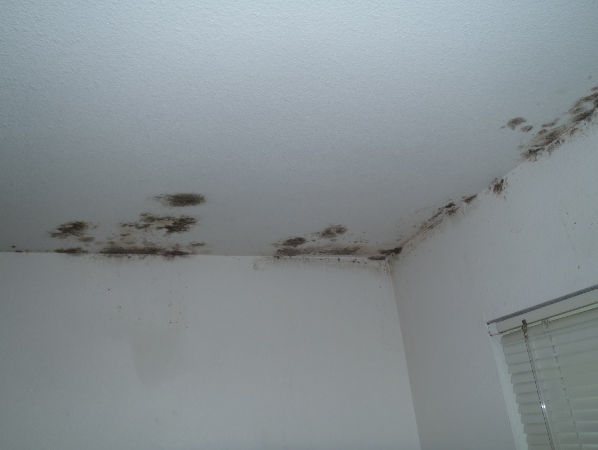 Please refer to our Mold Removal services. 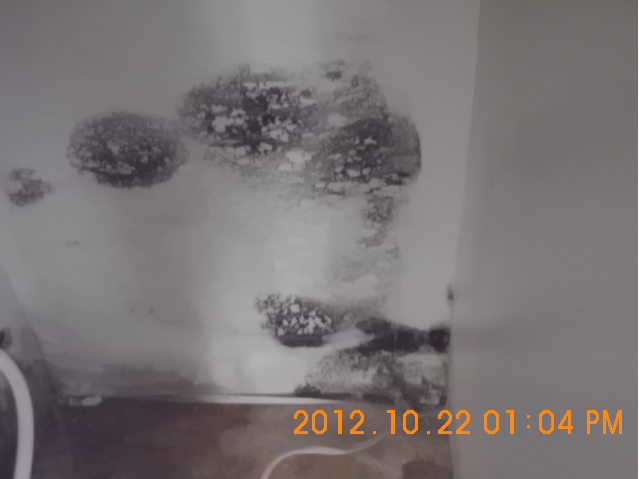 RTC Restoration provides free estimates for Mold Removal and Mold Remediation. We will send a formal proposal to you via email within 48 hours and often can provide a rough estimate during the appointment. Our Certified Mold Inspectors conduct a variety of tests, are fully licensed and insured, and use a variety of instruments and techniques to conclusively test for mold and moisture. If you’re a homebuyer, please ask about our inspection options. 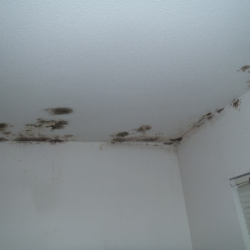 Mold is not always visible to the human eye. You or someone you care about may have symptoms commonly associated with exposure to mold spores. RTC Restoration uses several members of the American Industrial Hygienist Association. 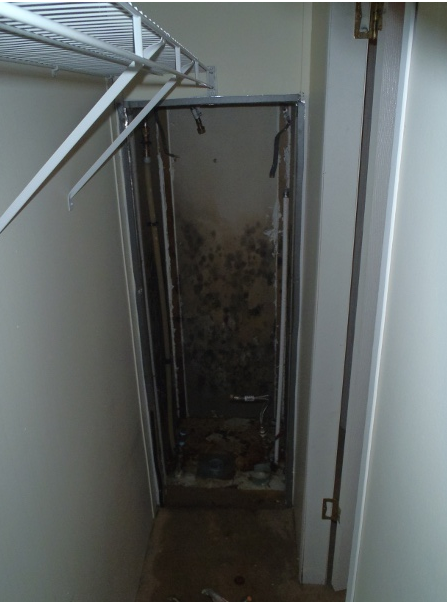 AIHA employs several non-invasive Mold Testing methods to detect the presence and levels of mold spores. Some spore samples that are hazardous in Colorado are Penniciliam/Aspergillus, Cladosporium or Stachybotrys which have known impacts on health. These professionals will take air samples, surface samples, or swab tests that can then be sent to an accredited laboratory for processing. Air sampling will identify the actual Spore and its levels within the air of a particular room. Surface samples are used to identify the exact fungus or fungi that may be present. A detailed report will then be provided in a matter of days depicting exactly what has been identified, the corresponding levels, and relevant definitions outlining the genesis of the spore and any associated health conditions. If you’re purchasing property that is suspected of having mold, mold testing is the most effective way to confirm its existence and develop a protocol for mold remediation. If you are unable to visibly detect mold, RTC Restoration can get you contact information of a local environmental hygienist to take air samples – please contact us for more information at 970-663-3400. Let RTC Restoration work directly with your insurance company to ensure that they cover your damage properly. Once you authorize RTC Restoration to work with your adjuster, you’re only responsible for the deductible. RTC Restoration will help you to review your policy to determine what is covered for Mold Removal and Water Damage. RTC Restoration will begin this process by sealing off the room or rooms to prevent mold spores from spreading. We use state of the art air scrubbers to filter the air with a Hepa filter and then carefully disinfect with the only green disinfectant on the market today “Benefect”. In severe cases, RTC Restoration will replace structures that can’t be disinfected. RTC Restoration also employs the use of, Concrobium or Peroxide treatments, and sanding. We have the resources to restore your damaged interior to the state it was prior to the disaster after Mold Remediation or Water Damage repair is completed. We are fully licensed and insured for Home Improvements, new construction and restoration projects. Our contractors and carpenters are highly skilled and provide first-rate customer service. We use HEPA Air Scrubbers to remove mold spores and other contaminants from the air. We have a variety of different size machines depending upon the size of the decontamination zone and the amount of space available to install the machine. We have special HEPA air scrubbers that fit into most attics for mold removal in those spaces. Our certified mold remediators will create a properly sealed decontamination zone and maintain negative air pressure when required for mold remediation. While mold and bacteria are major health concerns, RTC Restoration will help you identify these contaminants and determine the best solution to decontaminate and sanitize your home or office. We take the state of the structure and your health into consideration when determining the best approach. The goal is to eradicate allergens and not create new ones. RTC Restoration uses a variety of equipment in conjunction with environmentally friendly chemicals to eliminate bacteria, remove mold and other contaminants. Your health and our environment are our primary concerns, and we are very much against the idea of creating new problems by employing thoughtless solutions to rectify existing problems.